Stefanos Tsitsipas believes backing up his stunning victory over Roger Federer at the Australian Open was more important than defeating the legendary Swiss. The Greek youngster battled into his first grand slam semi-final with a gutsy 7-5 4-6 6-4 7-6 (7-2) victory over Roberto Bautista Agut on Tuesday. It came just two days after the 14th seed had toppled double-defending champion Federer in a brutal four-setter in Melbourne. Tsitsipas concedes it was tough to come back down to earth after defeating the 20-time slam winner, which he feels made his triumph against Bautista Agut all the more important. "It was really tough. [The] first night was tough to process," he said. "In the beginning was tough to fall asleep, to be honest with you. "I had a pain in my toe which kept me awake. In general, I felt a bit of pain in my body and tension. "I slept less than six hours. I was worried about my next match, if I'm going to be able to get some good sleep the day before. "I slept pretty well the other night. I received a lot of messages, a lot of congrats from people, from celebrities back home, which I never thought they were watching tennis. "It kind of felt like the whole thing has a big impact in the country, so yeah, lots of messages, congratulations from people, people sending me videos, photos, whatever. "I did want to concentrate on my next match. I knew that win against Federer was important, it played a huge role in my image, like who I am. "But I knew that the biggest challenge was today's match, that I can prove myself once again." 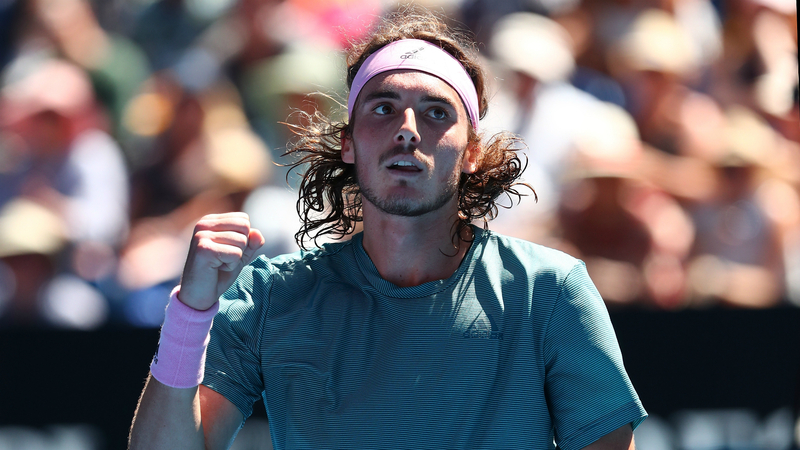 Tsitsipas' run has drawn new eyes to the Greek sensation and the regular vlogger has reportedly doubled his YouTube page subscribers. Surprised by the news, Tsitsipas opened up on why he enjoys the platform. "Oh, my God. Really?" He replied when told about his legion of new followers. "I didn't know it was going to have such an impact, what I said. I didn't check yet. I think I'm going to be more careful what I'm going to post on my next video. "I started last year, inspired by some other people. When I'm desperate sometimes, when I feel down, I do these videos, I actually feel better. "It makes me realise that tennis is not the most important thing in life, that we all have some other talents that we don't know about. It kind of makes me more relaxed."